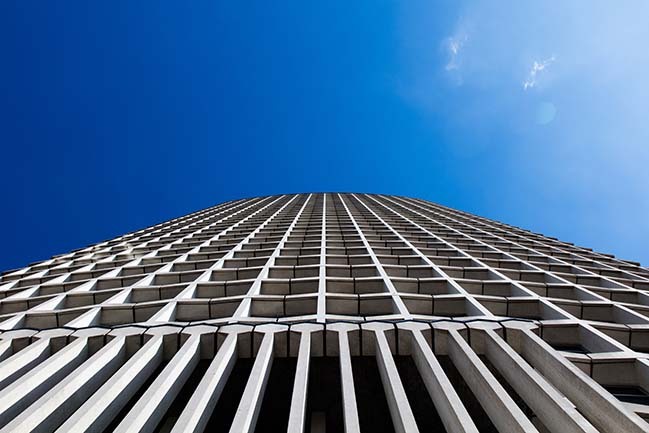 In 2011 Conran and Partners was appointed by London developer, Almacantar, as Architects and Interiors Designers with a brief to revive Centre Point’s iconic tower, making good on original developer Harry Hyam’s promise of a creating a thriving London Landmark. 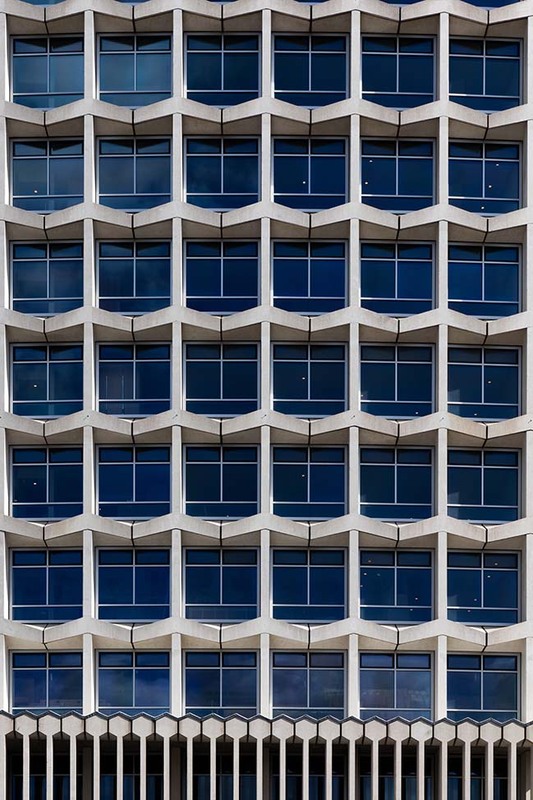 Centre Point Tower was designed by Richard Seifert, an architect originally from Switzerland, who had settled in London as a young boy. It stands between New Oxford Street and Charing Cross Road, and emerged from the vibrant and liberating social change affecting London in the 1960s. A grey and downbeat post-war city was starting to morph into the bright and confident world capital of style. 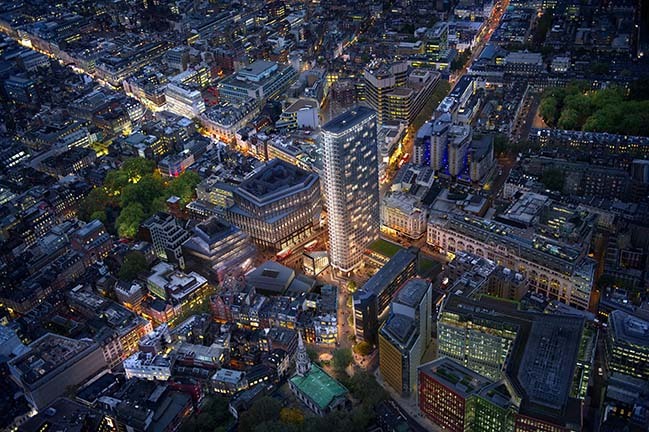 Centre Point Tower, in its final design, was a clear, tangible representation of this thrusting reinvention of the city. 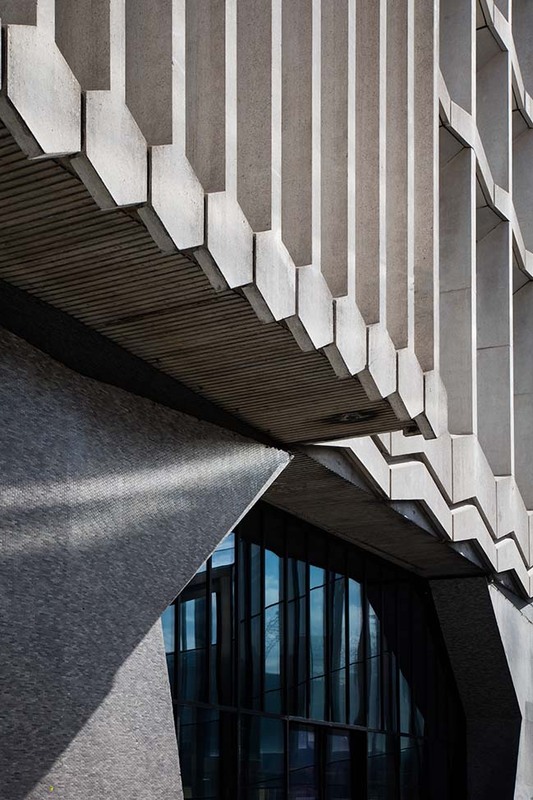 With its imposing height and thoroughly modern materiality, it seemed to stand for a new generation of Londoners and embodied their collective creative energies. Centre Point Tower was one of the first tall buildings in London to be constructed using pre-cast structural components. This new technique, developed by structural engineers Pell Frischmann (who returned to work on the building alongside Conran and Partners in the current transformation) resulted in a precisely manufactured exo-skeleton structure. This was manufactured off-site and then delivered to site on a daily basis, panel by panel, for installation. Not only did this achieve what was considered a dramatically fast process of construction; it also created near column-free internal floor plates, with only four columns required to support a central spine beam. This exo-skeleton was left honestly expressed with no need for cladding and detailed to deal with London’s rainy climate in an elegant way, resulting in a highly distinctive building on the city’s skyline. For many years after its construction, Centre Point Tower stood largely unoccupied and isolated from the buildings and spaces around it, not least due to the busy gyratory system that was formative in its creation. It gained a notorious white elephant status, despite its clear architectural merit. It was given Grade II listed building status in the mid-1990s. 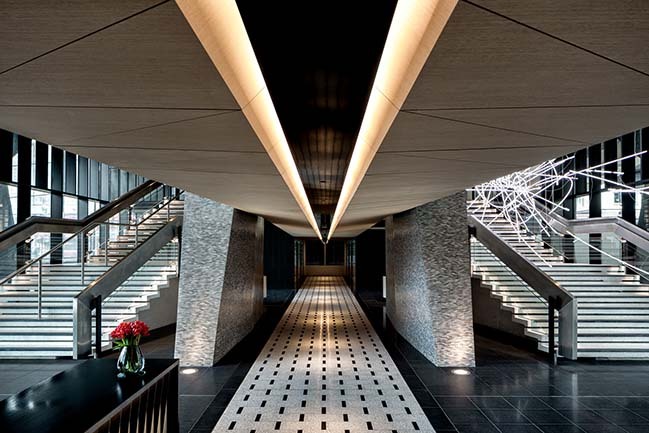 In 2010, London Developer Almacantar acquired the building and commissioned Conran and Partners to restore, update, convert and reconfigure the 34-storey office tower into residential use, with supporting amenity spaces and a new ground floor. Rick Mather Architects (now MICA), whilst not involved in the Tower, were commissioned at the same time to regenerate the lower buildings and the public realm. 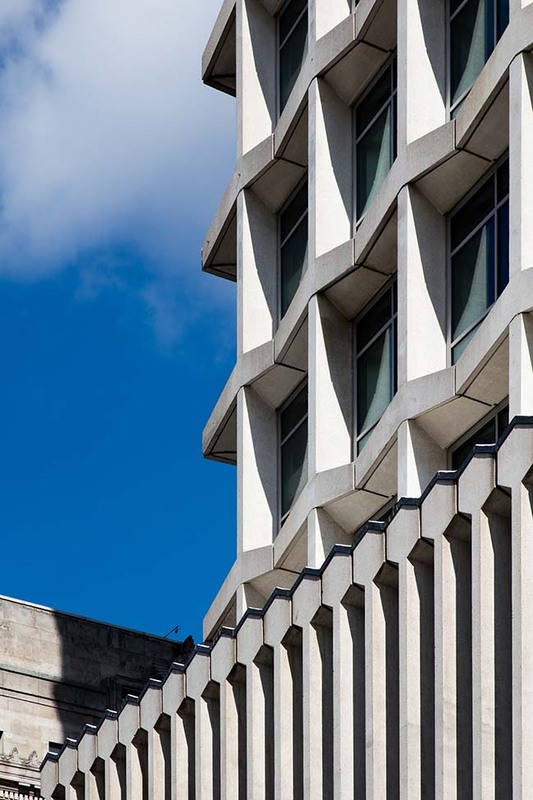 Almacantar’s brief was to reinforce the building’s personality by reconnecting to the spirit of when it was built, whilst at the same time making it relevant to contemporary London. London was in the 1960s, and is once again in the early 21st century, seen to be pre-eminent as a world centre of cosmopolitan culture and creativity. Centre Point Tower sits at the city’s very heart, in what is becoming one of the most rapidly changing quarters of central London, accelerated by the imminent arrival of Crossrail at the base of the building. 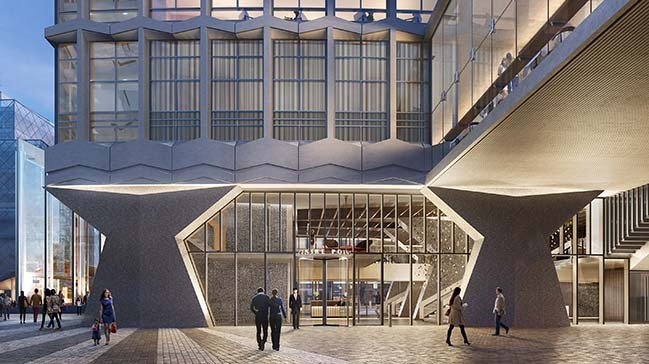 Furthermore, given its location, within easy walking distance of London’s principal museums and galleries, within sight of the Royal Opera House, on the edge of Soho, and within Theatreland, the building will attract residents who want to engage directly with this energy. 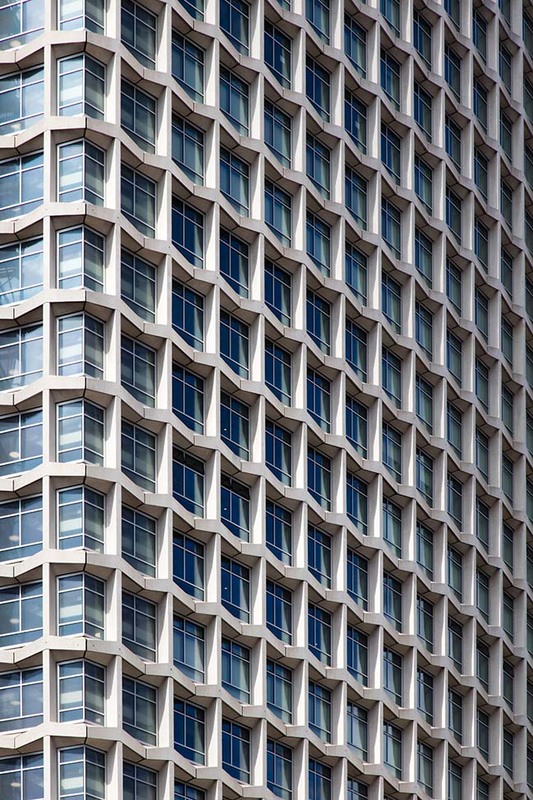 Eduardo Paolozzi once described Centre Point Tower as London’s first Pop Art building and the building’s graphic nature is so clearly manifested by the repeating, three-dimensional honeycomb structure that dynamically transforms itself though light and shadow as the sun passes across it each day. 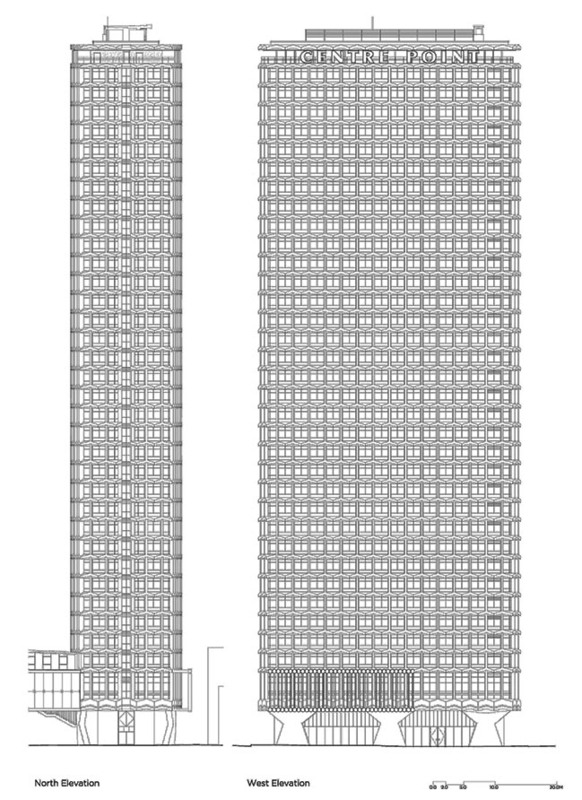 This threedimensional materiality is far less common in an era of sleek glass towers and an economic drive towards slim two-dimensional cladding systems. The design approach has been to connect the spirit of the restored exterior of the building with the converted and transformed internal spaces. The interior design has been influenced by the substance and rhythm of the elevations. The design has also been informed by the discovery of remnants of the original materials in the stripped-out building. For instance, contrasting Carrara marble cast into black terrazzo has been restored on the ground floor mezzanine. Careful retention of original features is evident throughout the scheme, including the bespoke ironmongery, joinery and tiling. All of these components reference the geometry and texture of the building itself, sometimes overtly, sometimes subtly. 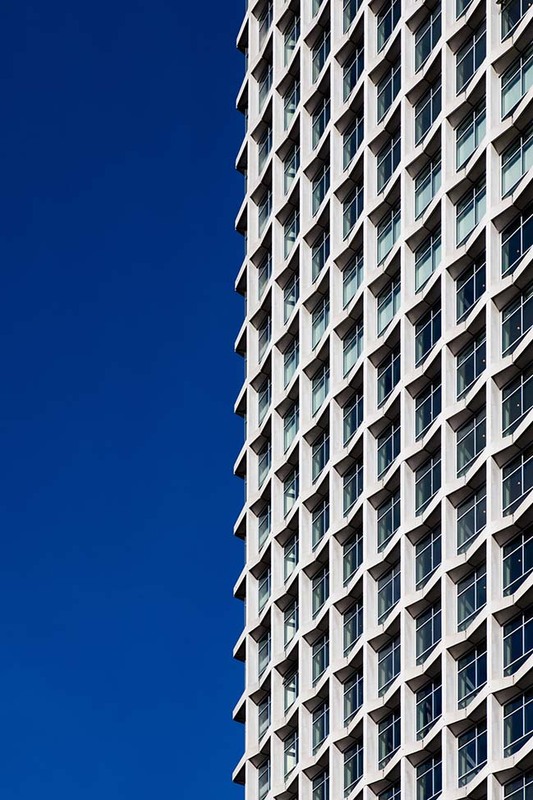 “With the site being in the cultural heart of one of the most important cities in the world, and given the building’s distinctive architectural personality, the conceptual task of creating an extraordinary residential address for Centre Point Tower was almost self-fulfilling. However, the technical task of physically converting a building of this type and the construction process this involved posed a significant challenge that required a highly creative approach. The project demonstrates that while there remains a continuing requirement to develop new housing opportunities on open land, there is clearly considerable potential to increase residential capacity across London through the reuse of some of the capital’s least obvious existing buildings.” Tim Bowder-Ridger, Senior Partner, Conran and Partners. The design also employs contrasting tonal palettes as a way of creating a journey from private to public, from the central ‘serving’ spaces to the ‘served’ habitable spaces around the perimeter. A dark palette is employed across the central spaces, while a lighter palette helps to accentuate daylight in the habitable spaces. 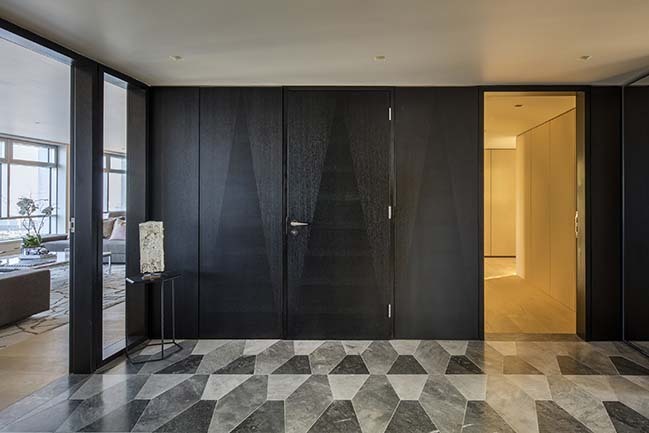 Generous use has been made of both black-stained and blonde limed-oak timber throughout the scheme, as well as natural stone and terrazzo, offering a sense of the robust quality of the original building. The floor plates, originally designed during an era of typing pools and cellular offices, are no longer relevant to modern office requirements. They are, however at approximately 30 metres by 16 metres, extremely well-proportioned for contemporary residential use. 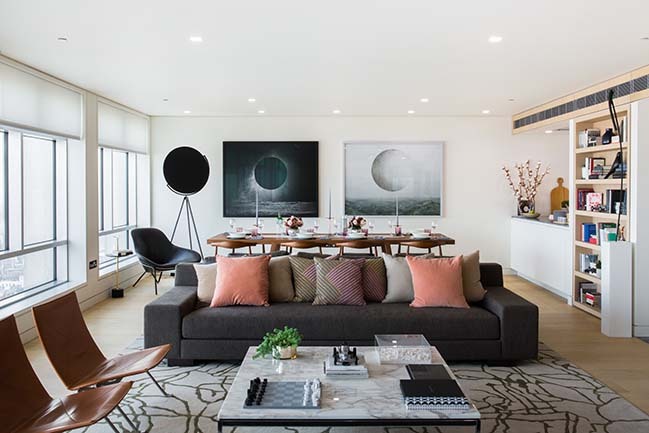 The new apartments in Centre Point Tower range from 70 square metre 1-beds to a 675 square metre duplex apartment. Both single aspect and larger, dual-aspect apartment types have floor depths which allow daylight to reach into the furthest parts of the habitable rooms. The fenestration pattern has resulted in room widths of a minimum of five metres, and featuring at least two large windows. 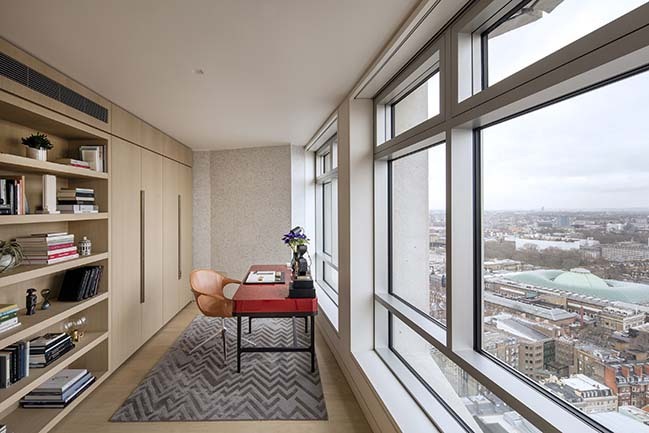 In the 3-bedroom apartments the external wall length is 15.5 metres of which more than 70 per cent of the surface area is glazed, creating spectacular panoramas across London. The windows frame and accentuate the uninterrupted views over the city which, unusually for a building so centrally located in a major world capital, can be enjoyed from almost every level. 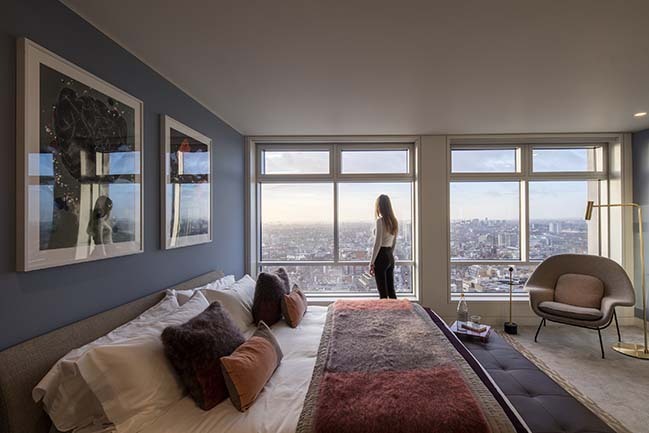 Even on the lower floors, the close views of London are exceptionally generous, allowing residents to become observers of the city and engage with it from their apartments. A key part of the brief was to make the best possible use of the building to ensure its survival and relevance for future generations. Whilst this, in part, is achieved by creating uses most appropriate to the form and location of the building, Conran and Partners have also given attention to the building’s environmental and heritage sustainability. 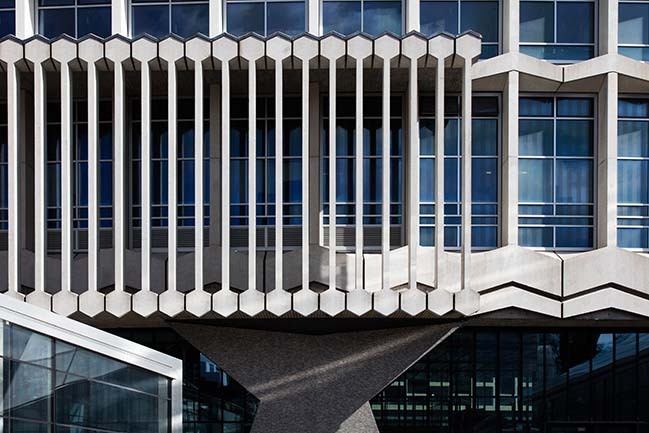 The concrete exo-skeleton has been retained and lightly restored, whilst the glazed envelope has been entirely replaced. Centre Point Tower is no longer a fossil-fuel-greedy building; it now meets contemporary acoustic and environmental standards that tie into a central combined heat and power system. For Conran and Partners, cultural and creative sustainability is also very important in the practice’s approach to projects. As a starting point, the viability of reinvention is always considered before looking at wholesale demolition and replacement. This not only aims to avoid the substantial energy wastage involved in crunching up concrete buildings of this type, but also supports an evolutionary approach to urban sites that helps to make 2 cities such as London richer through its legible layers of history. Conran and Partners worked with - rather than against - the original building, notwithstanding the challenges of a heritage structure designed and constructed long before CAD. For example, it was only established once each floor was surveyed that the structure varied dramatically in height and position by over 100mm. Such differences required the design team to accommodate variables invisibly without compromising the quality of the new spaces. In fact, the ambition was to create an impression that the new configuration was simply how it should have always been. As a result, the new glazing has been configured in the same pattern from the outside as the original. This was to retain the personality of the original design, despite it needing to perform a significantly enhanced technical function. Nevertheless, subtle alterations were incorporated. For instance, in the original form the lowest panels were solid spandrels, hiding the radiators, which would have restricted the downward views of occupants. These spandrels have been replaced with clear panels which maximise the sense of light as well as the viewing angles. Care has been taken to ensure that the general arrangements of the new apartments sit naturally within the spaces to avoid the sense of retro-fit. The entrances are always centred in the spine of what is a symmetrical building, whilst partitions always meet the external structure at right angles. All lower ceilings accommodating the services are centrally placed above the hallways, bathrooms, kitchens and storage spaces, to ensure that it is only the higher ceilings that meet the fenestration. 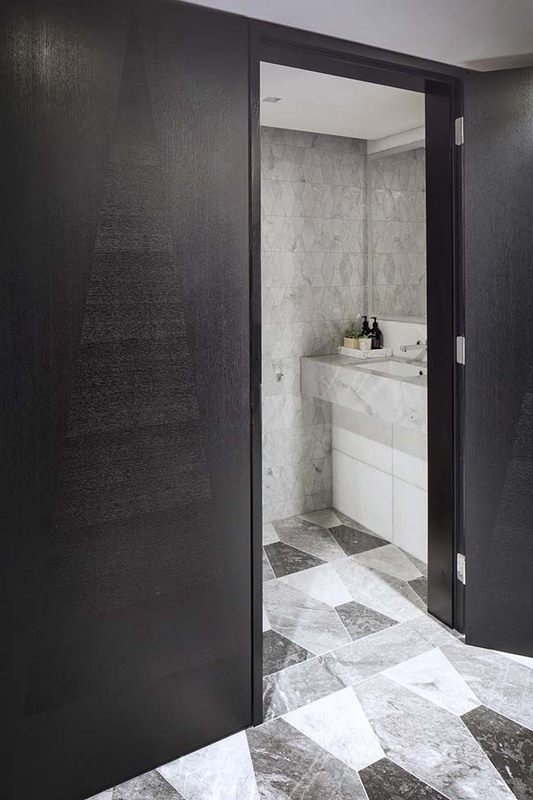 This approach avoids the unsightly, cranked partitions and dropped bulkheads against windows that are all too often seen in modern residential conversions. Most dramatically, by working with the spirit of the building, we have been able to incorporate a swimming pool on the first floor that expresses the elegant curve and linear movement of the full length of the building, whilst also providing a practical straight edge for swimmers to follow. The change which is most obvious from street level is the way in which the building now meets the ground. Centre Point Tower, like many buildings of it era, was originally designed around vehicle access rather than around people. 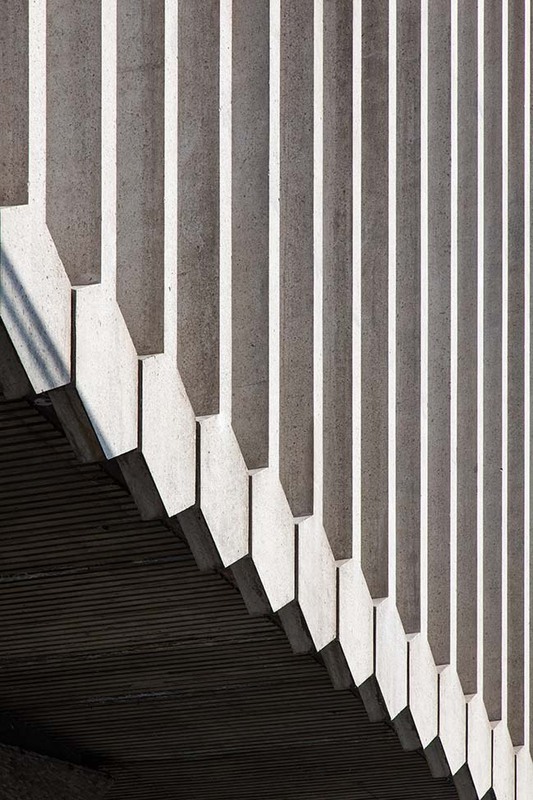 The original configuration was made up of the spiral car park ramp, over-sailed by a pair of external flying staircases that created an insecure, difficult-to-maintain and challenging street frontage and inaccessible entrance sequence. The solution was to relocate the staircases inside the building to create approaches that are more welcoming and accessible, with a clearly-defined entrance at ground level. The generosity of the new entrance, including the relocated staircases, has created a theatrical space which now features the latest light sculpture by Cerith Wyn Evans. 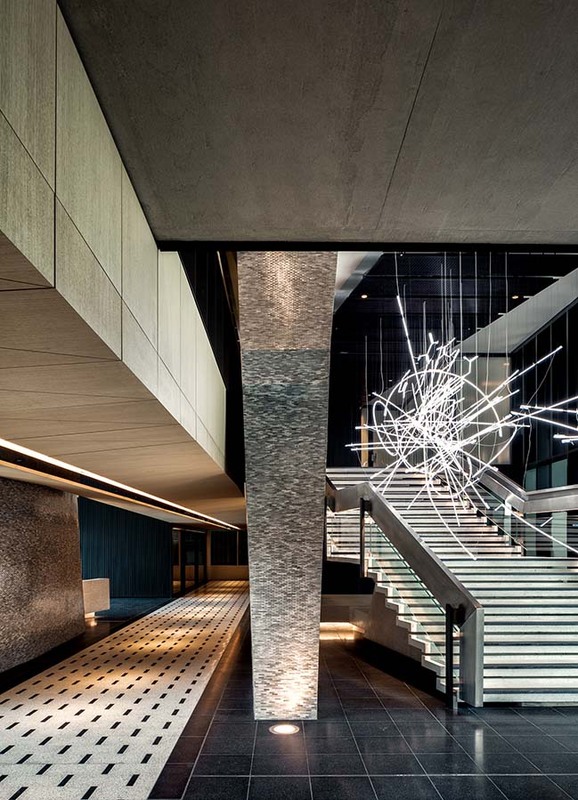 ‘Neon Forms…descending a staircase’ is a piece that aptly represents the creative energy at the heart of the original Centre Point Tower concept. At the top of the building, Conran and Partners have undertaken even more substantial alterations, to create a duplex apartment in the place of relocated plantrooms. Whilst our approach to this area also needed to respect and respond to the existing exo-skeleton and the dramatic shear walls, it has been possible to remove floor slabs to create dramatic double-height spaces. On the upper floor, the maintenance terrace has been converted into a continuous balcony encircling the whole of the floor to provide unique 360-degree views. “The residential marketplace is becoming increasingly sophisticated. Among international buyers, in particular, it is clear that a connection with culture is a strong selling point for any new development. This is evident in other parts of the world where Conran and Partners are working, especially in Asia, where point of difference is now often an intrinsic part of the value of a development. 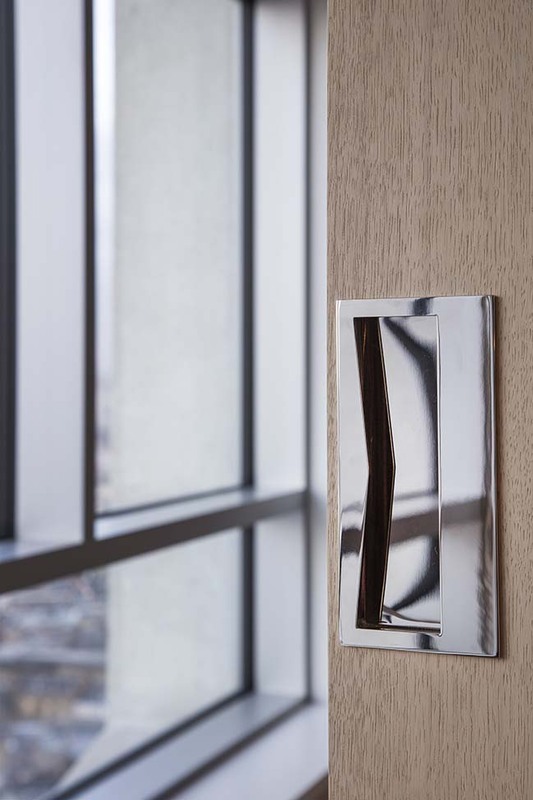 Buyers are becoming less comfortable with flashy superficiality in design; they want something which brings them as close as possible to the real thing with a sense of place, whilst still offering the best in contemporary living. There is nothing we enjoy more than reinventing buildings which have as much grace and potential as this one. Working with challenging contexts and buildings is at the heart and soul of what we do.” Tim Bowder-Ridger, Senior Partner, Conran and Partners. Ground Floor, pedestrian entrance level with reception and lift lobbies. Mezzanine Floor, art work display area, store rooms, meeting spaces. First Floor Amenities, swimming pool with sauna & steam room, changing facilities and gym. Second Floor Amenities, club & meeting room, catering kitchen, cinema room and spa. Level 33, lower floor of duplex penthouse with entrance, sitting room, dining room & kitchen and three bedrooms with en-suite bathrooms. Level 34, upper floor of duplex penthouse with two living areas, study, 360-degree outdoor terrace and two bedrooms with walk-in wardrobe and en-suite bathrooms. Levels 18-30, two 3-bed apartments per floor, all with en-suite bathrooms.